I have been exhibiting in Jersey – where my parents lived and where I spent my formative years – for some 40 years. However, all good things must end and this will be my last show on the island. I will be running it for ten days over the Easter period and will be including most of my new Icarus themed work (the largest piece is too large to bring) together with both my new animal and figure sculptures made since my last exhibition there in 2015 and the best of my legacy work. This year we have decided, for the first time, to take a stand at The Game Fair. 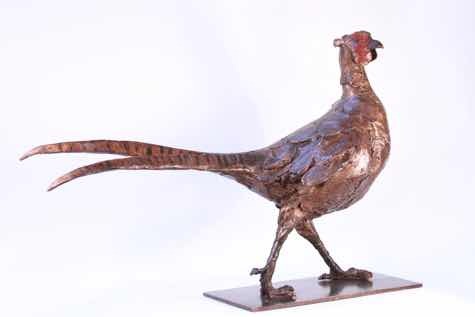 This will feature primarily my bronzes of UK wildlife and animals, together with associated drawings. 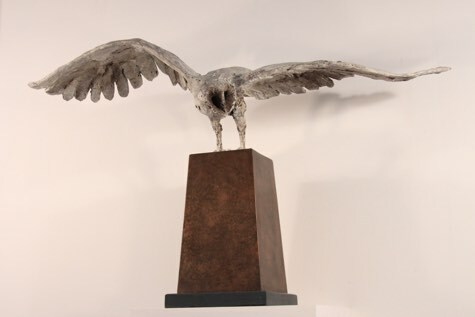 We will also have a large number of Nick Orr’s extraordinary carved feathers – see www.nickorr.art. The fair runs for three days and we would be delighted to see anyone who was coming along – it is a very good day out!